Aperitivo is a cocktail traditionally served with some nibbles, like salty peanuts, potato chips and sometimes even some tartines or any form of finger food. Aperipranzo and apericena are the larger version with buffet, basically, the informal alternative to a regular lunch or dinner. Before both lunch and dinner. Considering Italians usually have lunch at 1-1:30pm and dinner at 8:30-9pm, aperitivo can start at 11:30am and 6pm to prepare your stomach for a larger meal. 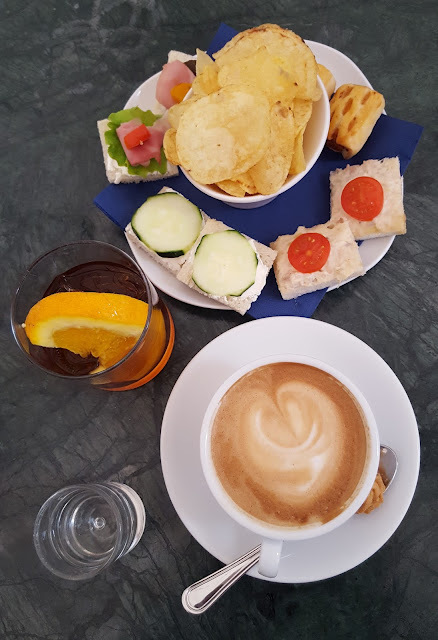 In Turin's coffee shops: each coffee shop has its own aperitif style going from the basic traditional formula of a campari or vermouth glass served with potato chips and 5 tartines to the real big aperipranzo or apericena buffets. In the aperipranzo and apericena case, a large buffet is set where people can personally help themselves out and refill at least once their dishes to pair with their wine glass, beer or cocktail. As the amount of food equals a lunch or a dinner, they are a cheaper way to eat high quality foods in a relaxed atmosphere. 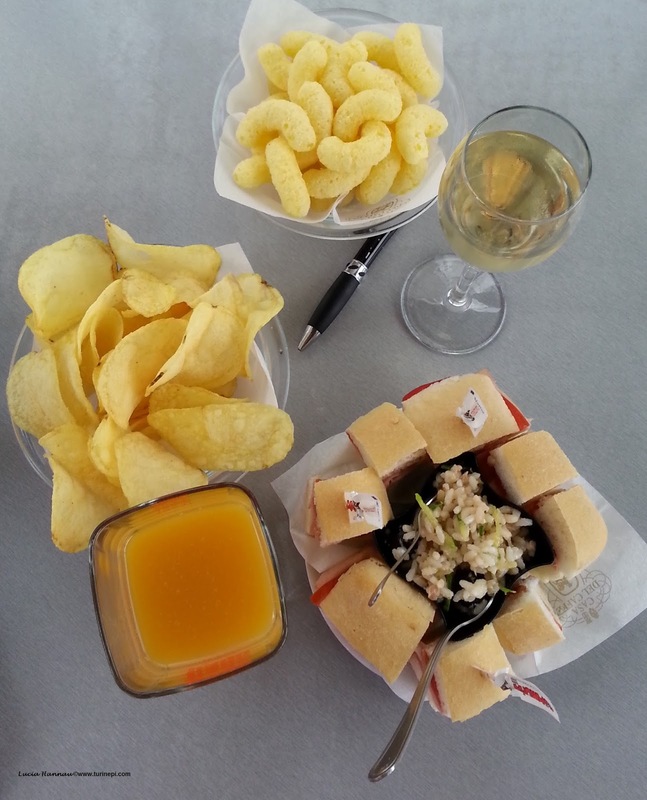 Nowadays, Italians also go on business large aperitivo to enhance the informal atmosphere of their meetings. Moreover, Turin's historical coffee shops offer a movie-like atmosphere with crystal chandeliers, velvet chairs and sofas and marble tables, while more contemporary cafes are famous for their endless choice of delicacies, going from cured meats and cheeses, to warm pasta dishes and roasts, including some desserts. Who takes part to the aperitivo rite? In Turin, literally everybody takes part to aperitivo, apericena or aperipranzo: students and low budget groups of friends, professionals, boomers and elderlies!! 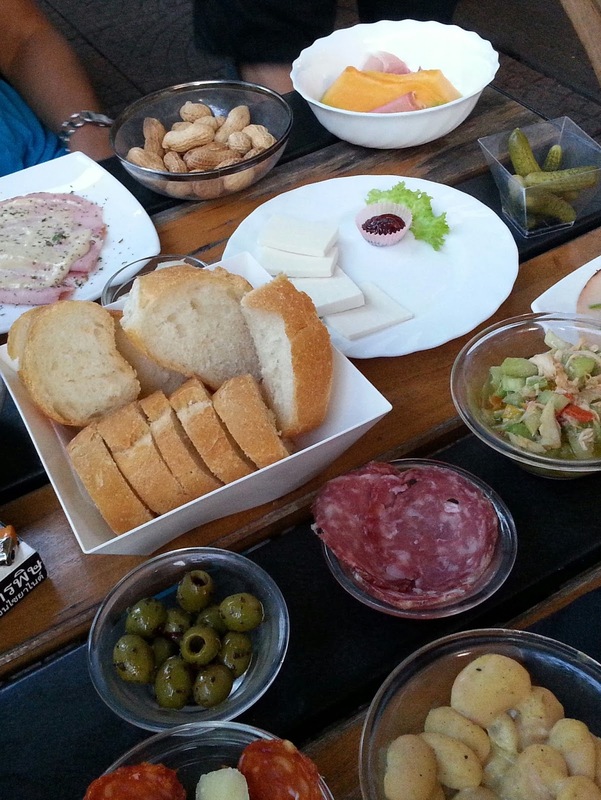 Every level of Turin's society loves doing aperitivo because of its convivial opportunity to catch up with a small group of friends over great food and drinks - and sometimes, still saving money. It is also very common to see many singles (of any age, all ladies included) filling up their dishes and sipping alone at a table. For in Italy, anything we put into our system is like a medicine, we always do pay extra attention to the quality of our foods and drinks, caring for our meals and eating times religiously. 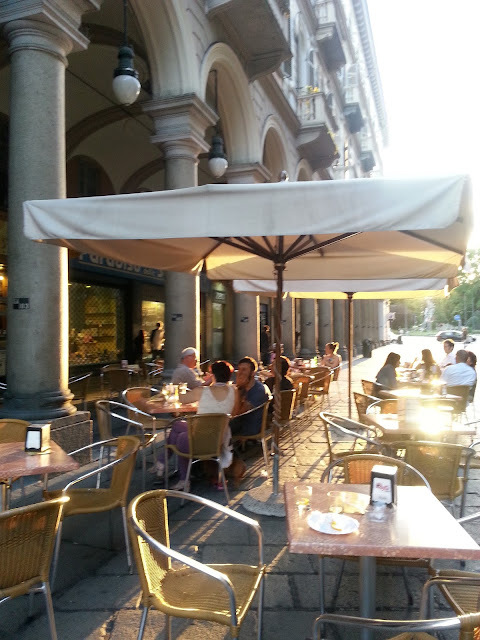 How does aperitivo work in Turin? At 11:30am and 6pm when the coffee shops take their viennoiseries and cappuccinos away to set the aperitif buffet, you and your family and friends can sit down and order your "aperitivo". If there is a buffet, you'll head over to load your dish picking what allures you the most. If there is no buffet, your cocktail will be automatically served with a generous portion of finger foods. As Italians often take advantage of the food, some coffee shops now have a limit of 2 refills or a waiter filling your dish following your directions. Aperitivo in Turin ranges from 5 euros to 15 euros when served in hotels, but usually downtown you'll spend 10/12E for one glass of wine/beer or cocktail and two very full dishes of all sorts of goodies. Why should you go for an aperitivo? Besides being a staple of the local culture, especially when traveling, aperitivo in one of Turin's historical coffee shops or famous aperitif bars - like Lobelix, is the perfect alternative to restaurants, long meals and it allows you to eat earlier!! So... is aperitivo really like a happy hour? The Italian aperitivo, especially in Turin is a daily rite where residents devote time to themselves, to relax and catch up with friends. In the Italian culture eating without drinking some good quality wine, beer or cocktail makes no sense and vice versa, just drinking without pairing your glass with high quality ingredients kills the culinary experience. Overdrinking is compensated by the food, overeating gets walked away in Turin's streets and museums. - all the downtown streets, especially pedestrian Via Garibaldi and Via Lagrange where you can enjoy sitting outside in the street without any cars, or under the arcades (porticoes) as in Via Po and Corso Vittorio Emanuele II. Naturally, for a complete visit to Turin should allow you enough time to cover as many neighborhoods and to sample their many specialties. 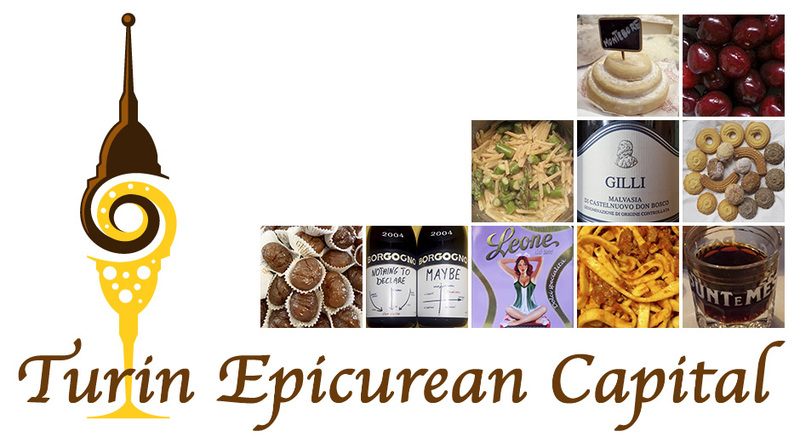 Cocktails, coffee, chocolate and everything they get served with, have been making of Turin the world's epicurean capital for over 300 years! Look up at your calendar and pick a date to hop over here. Be ready to live our vida royal!